This is my first time reading Sharon Dunn’s work. It was good. Given the opportunity, I would read a story written by her again. 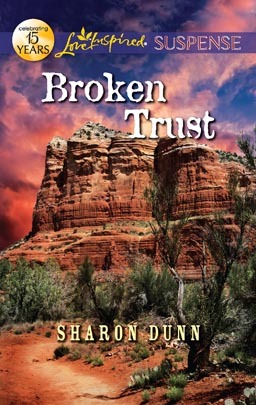 Broken Trust resonated with just the right about of romance and suspense to keep me wondering if the guy and the girl would make it out alive and be able to overcome the obstacles to their feelings, both external and internal. Once broken, trust is hard to reestablish, but with God all things are possible. 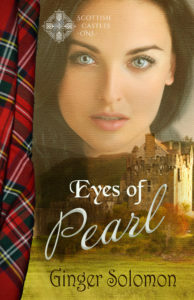 Can Christine and Wyatt trust Him long enough to believe in each other again? Read and find out. Impossible! Sheriff Christine Norris still remembers the heartache from the last time she gave Special Agent Wyatt Green her trust. And she certainly doesn’t believe him now, when he claims some of her residents are involved in a dangerous militia. But Christine can’t ignore the fact that someone who may be tied to the militia has kidnapped an innocent boy. And when she’s almost killed in a fiery explosion, Christine realizes Wyatt may be the only person she can trust to protect her. 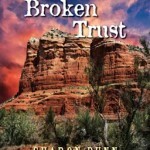 Even if she’s still not sure she can trust him again with her heart…. If you are interested in purchasing this book (and I think you should be), please click here and help support this blog. Thanks.